When I was pregnant I was a low-manipulation natural. All I wore was high puffs and buns. My wash days were not long or drawn out and I mainly wore wash n gos. I had very little to average shedding a wash day. I knew that my natural hair was going to be in for a drastic change after I gave birth. By the time I was two months postpartum my edges started to feel like there was a slight tugging sensation happening. I felt the tugging at my edges even when I wasn't sporting a puff of bun. I ignored the sensation until the day before my wash day. I wash my hair once or sometimes twice a week. Plus, on the day before wash day I pamper my hair. I give myself a grand scalp massage and follow it up by oiling my scalp and the ends of my hair. Detangling my natural hair would be something I would do too. 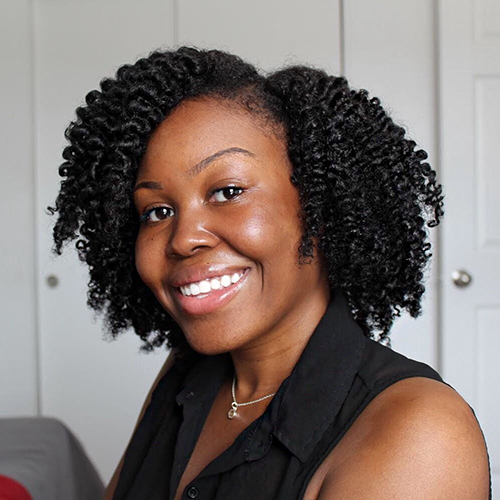 Being that I was only two months postpartum my natural hair began shedding the way it did before I my doctor diagnosed me with anemia only one month within my pregnancy. One thing I thought that was going to help me combat my postpartum shedding was deep conditioning. Deep conditioning is the first method every natural hair guru speaks about doing if you have anything happening to your natural hair. I’m thankful that I'm not one of those natural hair YouTubers who constantly say that deep conditioning is basically one of the core sources of solving your hair issue(s). I believe that deep conditioning is not going to solve a postpartum shedding issue. Postpartum starts internally. If more natural hair gurus and even cosmologists, ask you about your current health or your health in general then real questions can finally have an answer. I'm now 3 months (16 weeks) postpartum and my hair is shedding even more. Allow me to remind you that I am Anemic as well. Therefore, my postpartum shedding may be more dramatic than the next woman's. I will be dropping a video about my experience with Anemia on my YouTube channel as well, so if you're not a subscriber yet just click here so you won't miss the video that I may turn into a series. Here is my current natural routine for my postpartum shedding. Night: Mist hair with water. Scalp massage with a light oil. Tie hair back up or put on bonnet. Tuesday - Morning: Mist hair lightly with water to refresh style. Moisturized edges and nape with Nature’s Blessings Pomade or light hair grease fertilizer. Scalp massage with no oil for 10 minutes. Tie up hair in satin scarf or bonnet. Wednesday - Morning: Mist hair lightly using either water or green tea spritz. Scalp massage with light oil for 10 minutes. Thursday - Morning: Mist hair lightly with water. Night: Tie hair up in satin scarf or bonnet. Saturday - if wash day prep hair and follow with night routine. Sunday - If wash day prep hair and follow with night routine. Spilt hair into two or sections. Shampoo hair in four sections. Rinse hair in lukewarm water in the sink. Shampoo my hair 2 times. Condition my hair with a conditioner that has tons of slip and detangle my hair in sections. First with fingers then with detangling comb. I also twist my hair up as I go. Follow up with deep conditioner and finger detangling (add oil of choice.) Then twist hair up and apply shower cap on my head and deep condition with heat either using my hot head for 25-30 minutes or my bonnet hair dryer. Rinse my hair in lukewarm water in the sink and follow up with styling products. I truly know that going through postpartum shedding can affect your self-confidence. I understand firsthand how much it can also take a toll on how you feel about the overall health of your hair. However, there is no stop the shedding quick miracle. You must allow your postpartum shedding to run its course (even as nonchalant as it may come off.) Postpartum shedding can last months, but it doesn't have to stop you from feeling beautiful. Deep conditioning won't stop the shedding from happening it will only keep your hair more conditioned, soft, and hydrated. I’m also not advocating to stop doing it either, sis. 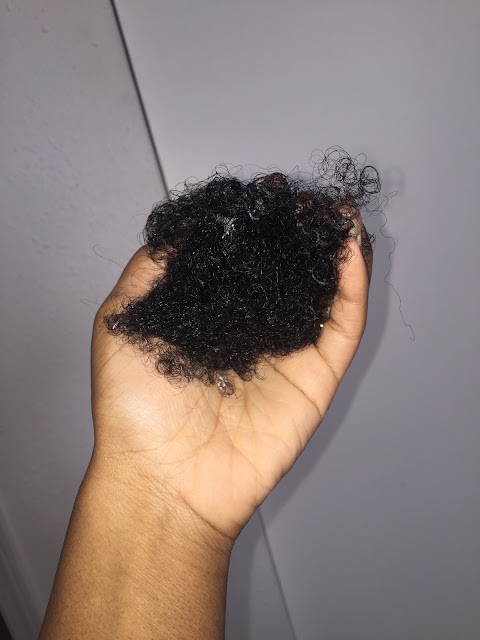 What has been your experience with postpartum shedding in your natural hair journey? Share your story, thoughts, and comments below.